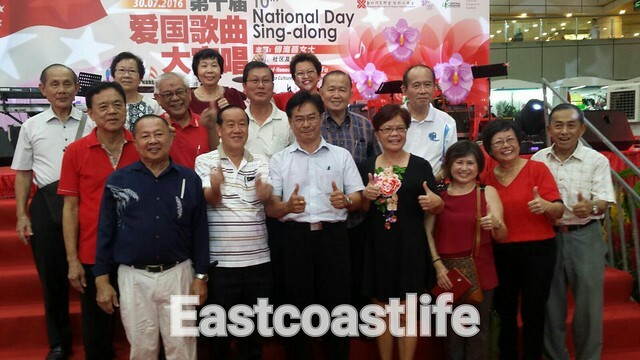 To celebrate Singapore's 51st National Day, the 10th National Day Sing-along was held at Toa Payoh HDB Hub Atrium Mall this evening. Participants came dressed in red or ethnic costumes. The event was graced by Ms Grace Fu, Minister for Culture, Community and Youth. 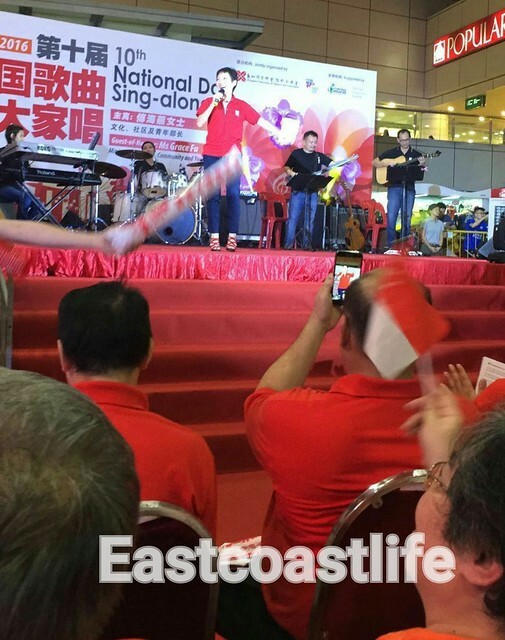 Minister Fu joined hundreds of Singaporeans in an enthusiastic sing-along to a medley of familiar national songs. 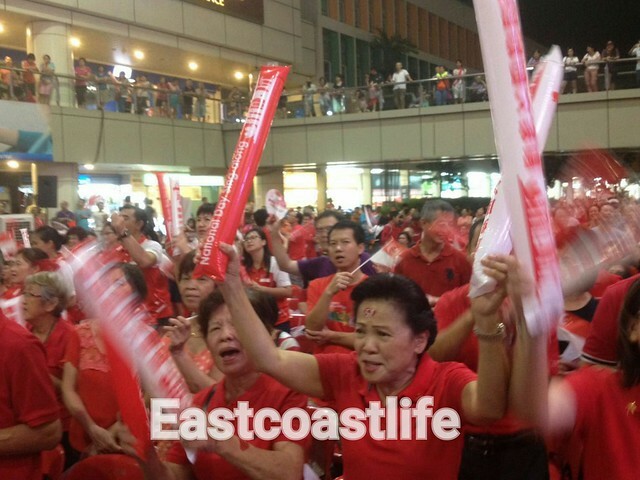 President Pang Lim from Qionghai Association (Singapore) led a group of Hainanese members to participate in the event.